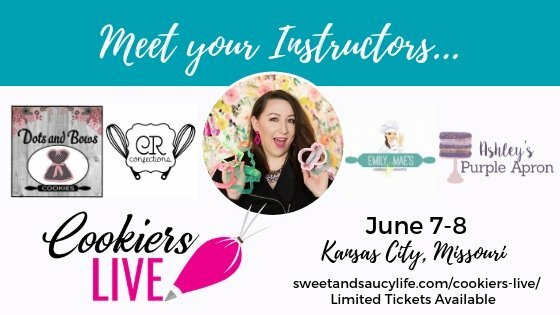 Cookiers LIVE is June 7-8 in Kansas City, MO and I’m super excited to see you there. Let’s meet the talented lineup of cookie artists who will be teaching at the event! 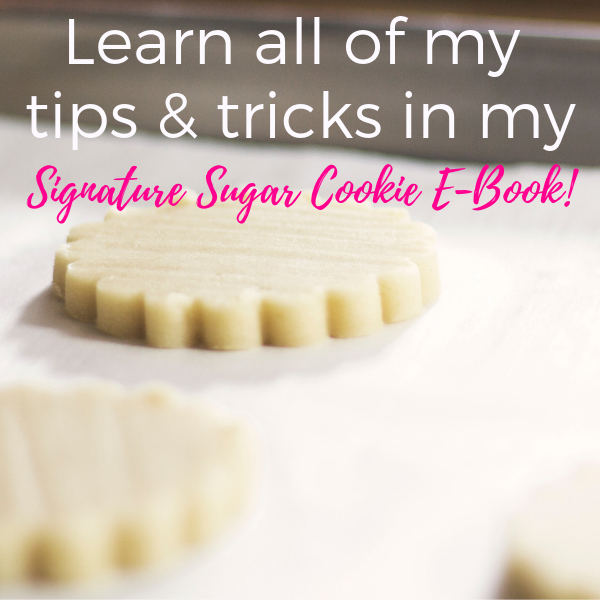 Are you looking for a place to learn new cookie decorating skills, build community with your fellow Cookiers and get the business advice you need to GROW your decorated sugar cookie business? If so, I’d like to invite you to Kansas City, MO June 7-8th for Cookiers LIVE! This is an event that you have been asking for and it’s finally coming to fruition….I’m so stinkin’ excited! One of my favorite things that I’ve ever done was go to Cookie Con! If you want to experience that same sense of community and meet new people – this is the event for you! ALL cookie decorating instruction and business classes are included in your ticket price!! So you won’t miss a thing while at the event! I know you’ve seen their work and I can’t wait for you to meet our Cookiers LIVE Instructors! Let’s get a closer look at the people behind the cookies! My name is Katrina and I am a cookie artist. I love to create cookie designs for any occasion and I have been honing my skills for close to 7 years now. I operate Dots and Bows Cookies from my home locally in Wiley TX. I look forward to learning new techniques and I am completely self-taught. We have expanded our business to include our online cookie subscription tutorial group, Cookie Crew and Dots and Bows Designs, our own line of cookie cutter designs and cutters. I am happily married to my handsome husband, Steven. We have three gorgeous children, Spencer 18, Regan 16, and our youngest Avery, who is 8. We moved to Texas almost 6 years ago and love to do all kinds of activities as a family. Find Dots & Bows Cookies on Facebook HERE! Emily Mae’s Cookies started nearly 3 years ago while I was home on maternity leave with our second son. While scrolling facebook, a tutorial came up on decorating sugar cookies – I tried it and I was HOOKED! As a student of culinary arts, I’ve always had a passion for presentation and all things culinary, so it seemed to be the perfect fit! After many talks with hubby, we decided to make a go of a little ‘at home’ cookie business and to not return to my full time job. It was a scary decision, but I’m so glad we did it! Coming up with a business name – I wanted something personal & friendly with a dash of charm mixed in. After giving it lot’s of thought, my middle name came to mind – ‘Emily Mae’. This comes from my grandmothers, one Emily, the other Mae. PERFECT, that’s it! We’ve got it! Working from home with 2 boys has been challenging, but I don’t think I’ve ever been more proud for having pushed and worked so hard to do my little part in helping support our family. Thanks to a wonderfully supportive community, Emily Mae’s has grown a fantastic and supportive customer base. So now, with the little one heading to school in the fall, we are now making big steps to move the business forward and I am SO EXCITED for what the future holds! Find Emily Mae’s Cookies on Facebook HERE! Ashley’s love affair with buttercream began long ago at a part time job in college. 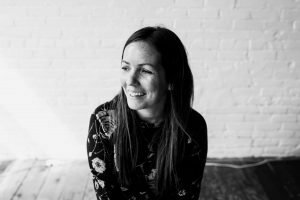 She’s spent the last several years perfecting her techniques through numerous custom cake orders in her business, Ashley’s Purple Apron. 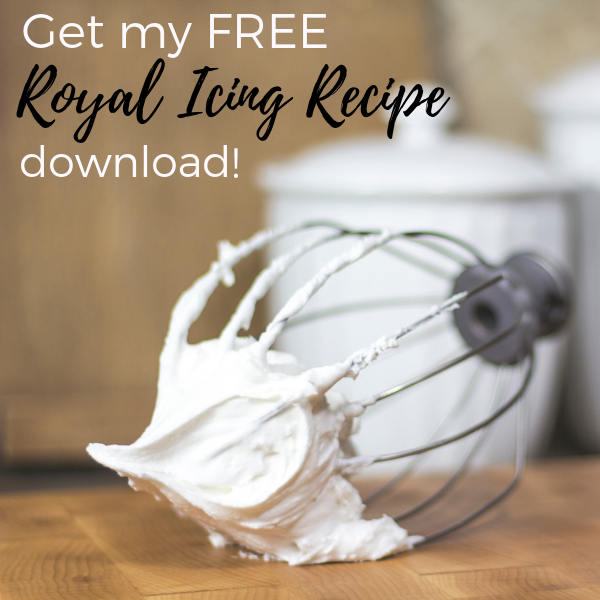 Today she continues to enjoy creating custom work, as well as sharing her love for buttercream with others through hands-on and online classes, video tutorials, and blogging. FInd Ashley’s Purple Apron on Facebook HERE! I am a self taught glaze cookie artist that took a love for baking all things delicious and turned it into a business! I love the creative aspect of my job creating custom cookies but I love the teaching aspect even more! I love spreading all the glaze cookie love onto future cookiers. Find CR Confections on Facebook HERE! I’m April Kolanchick. 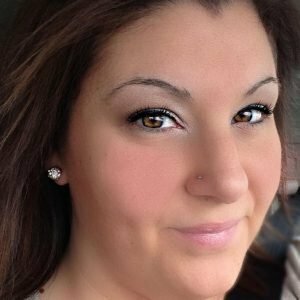 I’m a wife, mom of 4, a sugar cookie artist, and business coach from the Kansas City, Missouri area. My client base is a diverse group of talented sugar artists looking to grow in their cookie decorating skills and build their creative businesses. I made my very first decorated sugar cookie after Miss Scarlett was born in 2014. 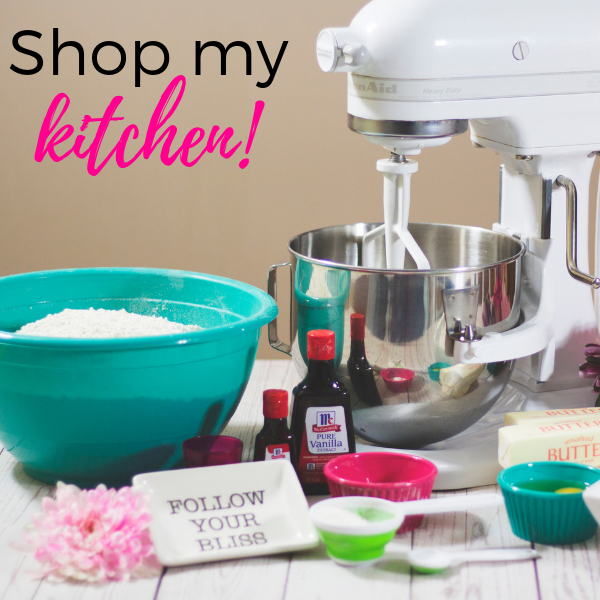 I was hooked and slowly dabbled at making cookies for friends and family until 2017 whe I decided to officially start my business. One year in, and we received news that Miss Scarlett’s “quirks” and speech delay was actually Autism. This was the single most pivotal moment for our family and my business. 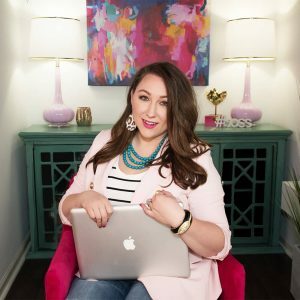 In seven months I went from generating 90% of my revenue through physical cookie sales to 100% online through my membership groups and digital courses. Now instead of making cookies for customers I teach other people how to decorate cookies and build profitable businesses. Want more hands-on time with our lineup of expert Cookiers? If so, be sure to check out our VIP Cookiers LIVE experience. Your VIP Admission will get you into an Exclusive VIP Event on June 6th at my home where you will get to meet and mingle with our LIVE event instructors and speakers!! BUT – there are only 15 tickets available!! If you want in on the VIP Experience, you need to secure your spot NOW. Click HERE to get your ticket today and I’ll see YOU in Kansas City on June 6th! !